Life insurance is one of the most powerful types of insurance policies a person can own. Unfortunately, deciphering these contracts is not always easy, nor is there a readily accessible database or collection of insurance laws that encompasses every state. This has led to a high degree of misinformation and many misconceptions regarding who can purchase life insurance, and what types and amounts are permitted. Simply put, there is no legal limit to how many life insurance policies a person can own, nor how many of each type. Legislation does not exist that restricts the number of life insurance products an individual may purchase. The ability for a person to own more than one life insurance policy allows those individuals with limited financial resources to slowly but steadily purchase additional policies as their available funds increase. Someone who cannot initially afford the premium for a policy with the most appropriate death benefit can instead purchase a smaller, more affordable one. Over time, when that individual has the ability to spend more money on life insurance thanks to a pay raise or the elimination of a debt, a new insurance policy may be purchased whose death benefit combines with the earlier product for a sum total that is proper for his given situation. Although there are no laws prohibiting a person from purchasing multiple life insurance policies, there may be difficulties in obtaining more than one policy at the same time. Life insurance applicant information is submitted to the Medical Information Bureau (MIB), and all carriers research a new customer's files prior to issuing a new policy. 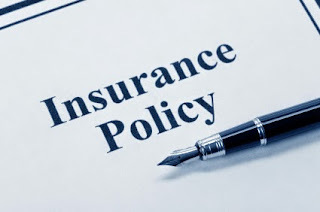 Some of the data provided to the MIB includes the date of previous life insurance applications, the face amount of those policies, the underwriting class of the customer, and whether or not the policy was issued or the case declined. An individual attempting to purchase more than one life insurance policy at the same time, or multiple policies within a short time span, will raise concerns within the carrier's underwriting department which may lead to delays or even rejections. Just as there is no legislation restricting or prohibiting the number of life insurance policies purchased by one individual, there is also no legislation regarding where policies are purchased or from what company. Since insurance is regulated at a state level, there is no way for state courts to control a person's insurance coverage even if there was a desire to implement legislation to that effect. Regardless of where an insurance carrier's headquarters is located, the company can easily obtain licensure to market and sell their products in multiple states. This cross-border capability makes it much easier for consumers to purchase life insurance policies that most appropriately match their needs and financial capabilities. Just as there are no formal laws affecting an individual's ability to purchase multiple life insurance policies, there are also no laws restricting how high of a death benefit a person can obtain. Placing a value on a person's life is a matter of opinion, and there are several accepted methods used within the life insurance industry to determine what is considered an appropriate level of coverage. Although no laws prohibit excessively large life insurance amounts, there are many insurance companies that have their own internal policies regarding the justification of extremely high death benefits. A person who applies for a life insurance policy with a death benefit higher than what the insurance company deems normal and ordinary may have to provide further documentation or explanation for the request. An additional benefit to having the ability to purchase more than one life insurance policy leaves a person the chance to address any unforeseen financial obligations or liabilities as they may arise in the future. For example, the birth of a new child creates a significant financial liability for parents. However, thanks to the flexibility within the insurance industry, it is relatively easy for parents to purchase additional coverage to properly protect the new addition to the family. Purchasing more than one life insurance policy is actually a very common strategy used by those with the financial means to take advantage of sophisticated concepts. By getting both a term insurance policy and a permanent policy at the same time, consumers can obtain adequate protection in large amounts for financial liabilities that will eventually decline, while simultaneously ensuring that they will always have coverage.